The Australian Blueberry Growers’ Association is the representative association of blueberry growers in Australia. 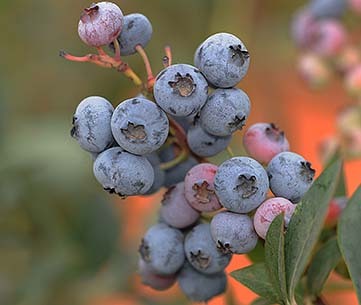 In 2015–16, blueberry production was valued at $146 million (LVP). The industry is rapidly expanding with farmers on average producing 11,500 tonnes of blueberries per annum. Around 250 growers produce blueberries over 1,300 hectares in all states of Australia, except NT. 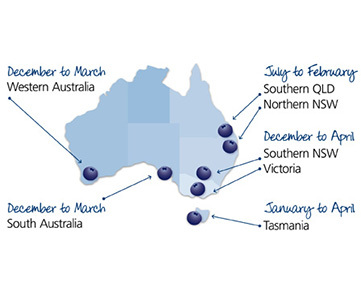 The major production area of the Australian blueberry industry is on the NSW north coast. NSW produced over 80 per cent of the Australian crop in 2015. Other regions have increased plantings to take advantage of late and early season fruit, with the aim of having Australian blueberries available all year round. The crop is grown in Tumbarumba in southern NSW; the Atherton Tablelands, Bundaberg and Mundubbera in Queensland; the Tamar Valley, Meander Valley, Bernie, Devonport and the Huon Valley in Tasmania; the Grampians, Silvan and Strathbogie in Victoria; Margaret River and Geraldton in WA; and the Mount Lofty ranges in SA. There are three varieties of blueberries grown in Australia: northern highbush, southern highbush and rabbiteye. Northern highbush are grown in the cooler climate areas such as Victoria, Tasmania and the southern highlands of NSW whereas southern highbush and rabbiteye varieties are grown in NSW and Queensland. The majority of blueberry production is consumed domestically, with less than five per cent exported to markets including Hong Kong, Singapore and Thailand. There are two main types of blueberry (Vaccinium sp.) grown in Australia and New Zealand. These are Highbush, and Rabbiteye blueberries. Blueberry flowers are bell-shaped and hang facing the ground. There is a central stigma surrounded by 10 shorter anthers. The stigma often extends out of the flower. 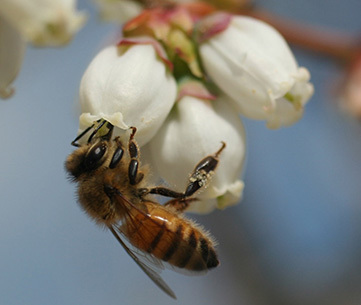 Blueberry flowers produce both pollen and nectar. 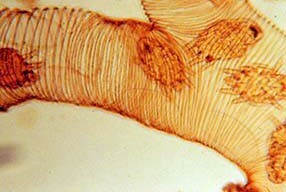 Pollen is produced for up to 5 days. A blueberry flower is capable of producing up to 50 seeds and berry weight increases with seed number. There are, however, factors other than seed number that also affect blueberry weights. Blueberries are insect pollinated. 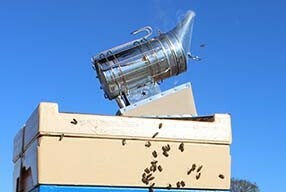 The most significant pollinators are honey bees that visit flowers to collect nectar and or pollen. 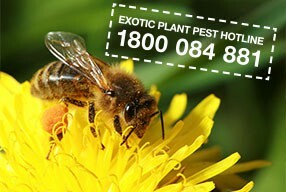 In a study in Australia, honey bees comprised 95 per cent of all insect visitors. 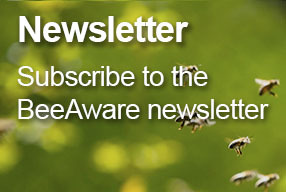 In New Zealand, bumble bees are also frequent visitors. 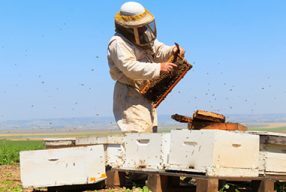 Stocking rates between one and 10 hives per hectare have been recommended; however, eight or more hives per hectare would seem appropriate for most blueberry crops. As a management tool it is good practice to mark and count flowers and then count the number of fruit produced to determine if pollination rates are optimized. Counting the seed number in fruit on a regular basis is also worthwhile. The degree of self fertility of Highbush flowers appears to vary with variety and location. Most, however, appear capable of setting fruit without cross pollination and self-pollination frequently produces a similar fruit set. The number of seeds and fruit weight will usually be increased with cross pollination. It is also reported that that cross pollination may cause fruit to ripen up to a week earlier. If planting Highbush blueberries, it is important ask whether the cultivar would benefit from inter-planting with a second variety to ensure cross pollination. Even if a block of a single variety is already planted and producing, it may still be worth checking if better production could be achieved with inter-planting with another cultivar to ensure cross pollination. Rabbiteye blueberry varieties are mostly self-infertile and cross pollination is required. When planting a second variety for cross pollination, the different varieties need to be in different rows if the fruit from each variety needs to be kept separate. The best design would be to have alternate rows of each variety. Not quite as good for pollination, but possibly easier to manage, would be to have every third row planted with a second variety.